I made this card a while ago to enter Karen Howard's challenge during Memorial Day Bloghop. 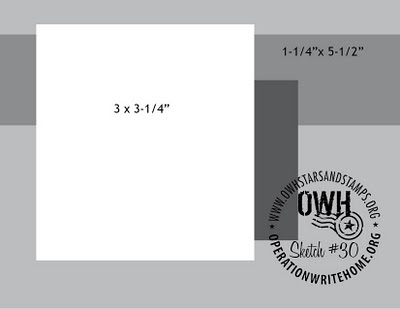 It is posted as one of sample cards on OWH S&S blog for this week's sketch challenge. 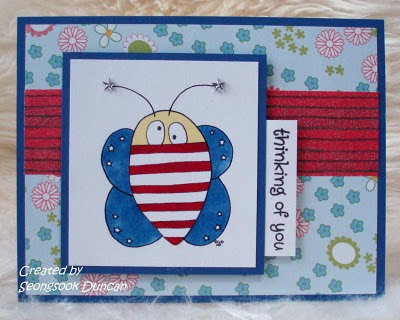 The 'Stars and Stripes Bee' digital image was from Stretch n' Bubbles that was given as a freebie for OWH cardmakers. This is so cute. TFS. super cute ...thanks for sharing. I love the cards you made for Sketch Challenge 30 at OWH, especially the one with the big purple and white and the beautiful sentiment! This is so cute Seongsook! I like the dp that you used! !